At Bob Hook Chevrolet Work Trucks we make it our business to see to it that your business runs with our quality commercial and fleet vehicles. Our goal is to take your company’s vehicle concerns off of your mind and let you concentrate on the other aspects of your business. 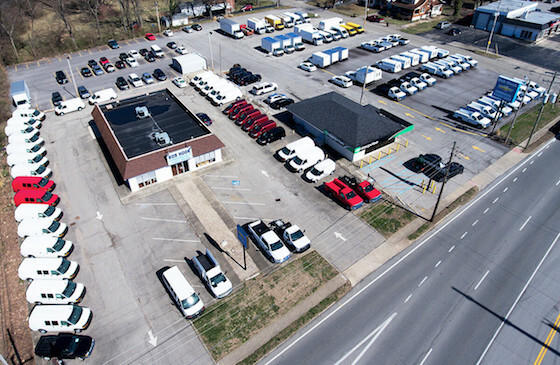 We pride ourselves in keeping an inventory that has just the right vehicle for every job. Our trained experts work to understand how your company will use these vehicles in your business. Then we can suggest a vehicle that will work efficiently and save you time and money. We know that if you need a fleet car or commercial truck for your business, you very likely need it right away and with little warning or notice. If we don’t have the right vehicle in stock, we’ll use our industry contacts to get it to you fast. Best overall customer service we have ever received. We have purchased several vehicles from Roger Hoon at Bob Hook’s Chevrolet and it has always been a very positive experience. The buying experience was very smooth and hassle free. Michael Sweets did a great job assisting me with the purchase. He was very informative and always quick to follow up. I would definitely purchase another vehicle with Michael and Bob Hook Chevrolet. Mike Sweets was great he kept us posted on a couple of used vans that they had coming in and he was a man of his word and stayed in constant communication with us via phone and/ or text. I just can’t say enough about him, professional, friendly, courteous. Jason Dugger took good care of us also finishing up paperwork.